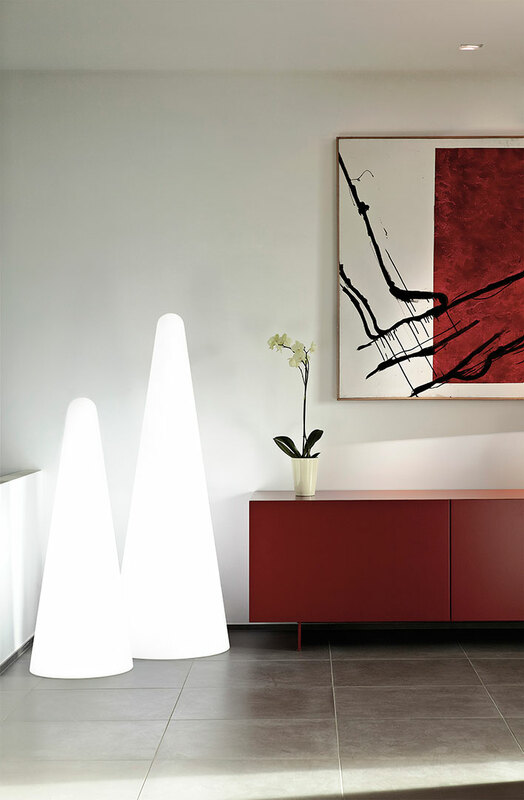 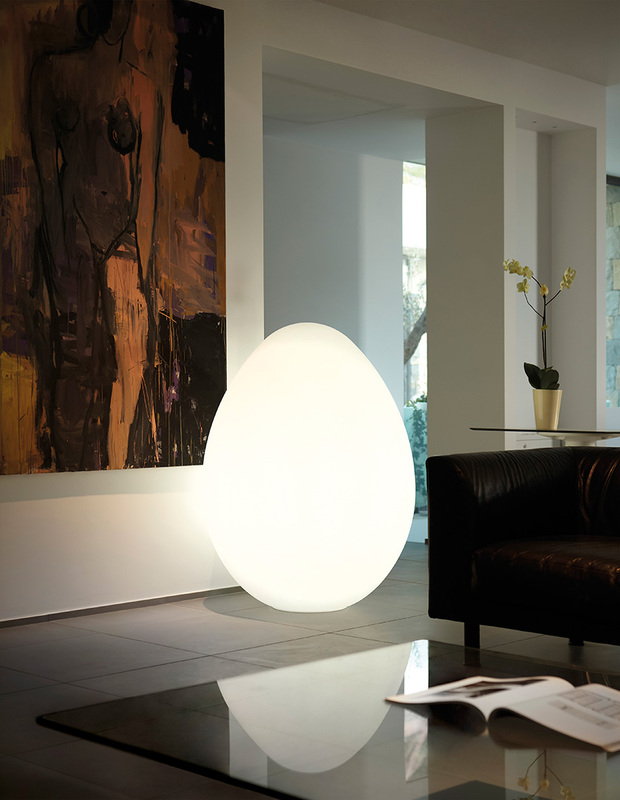 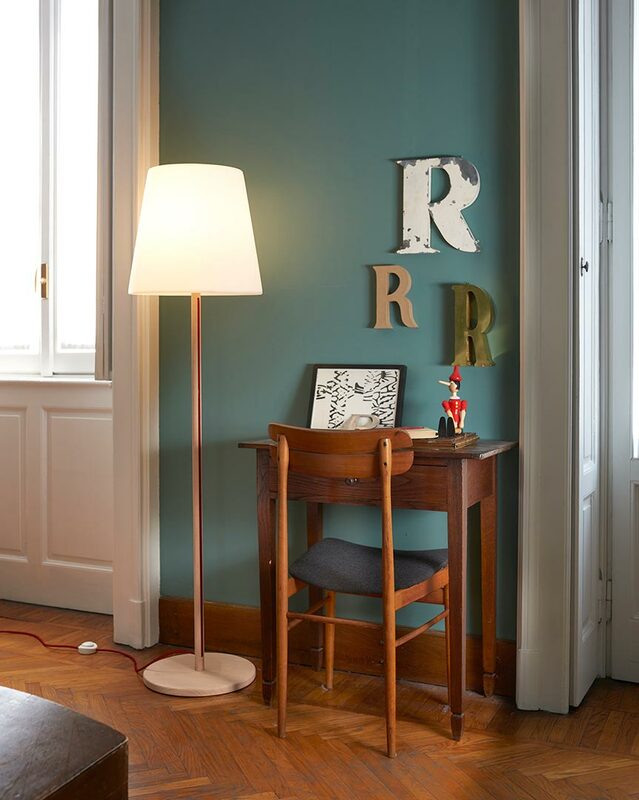 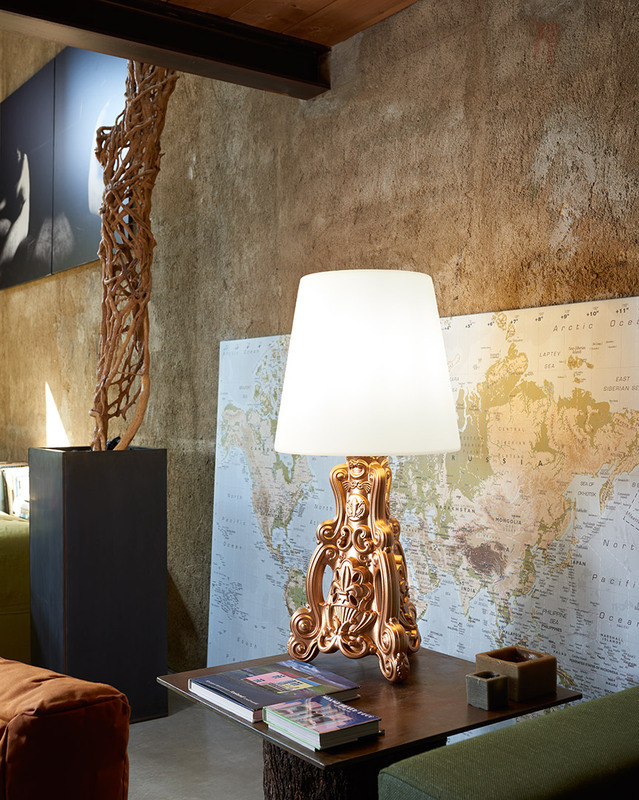 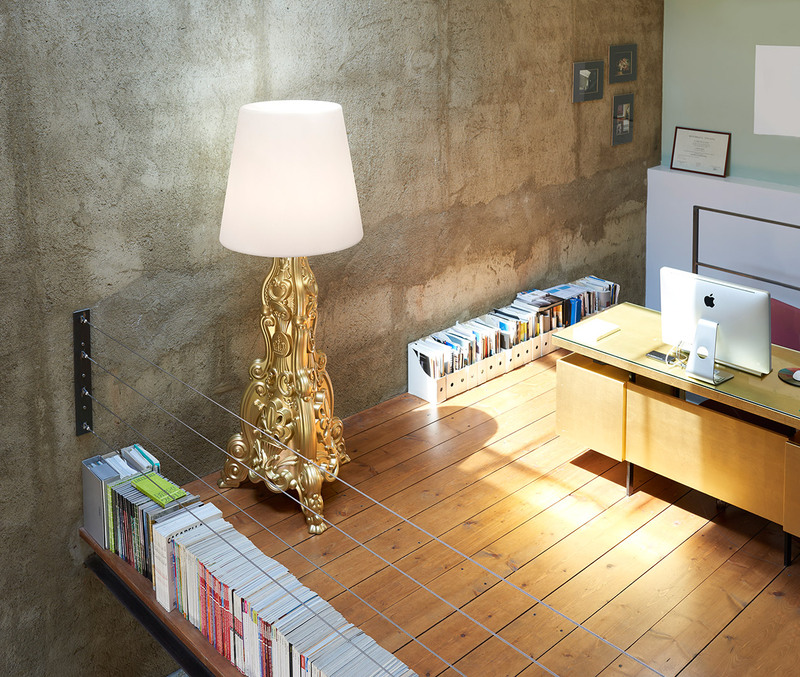 Cono is a floor lamp with minimal and essential design. 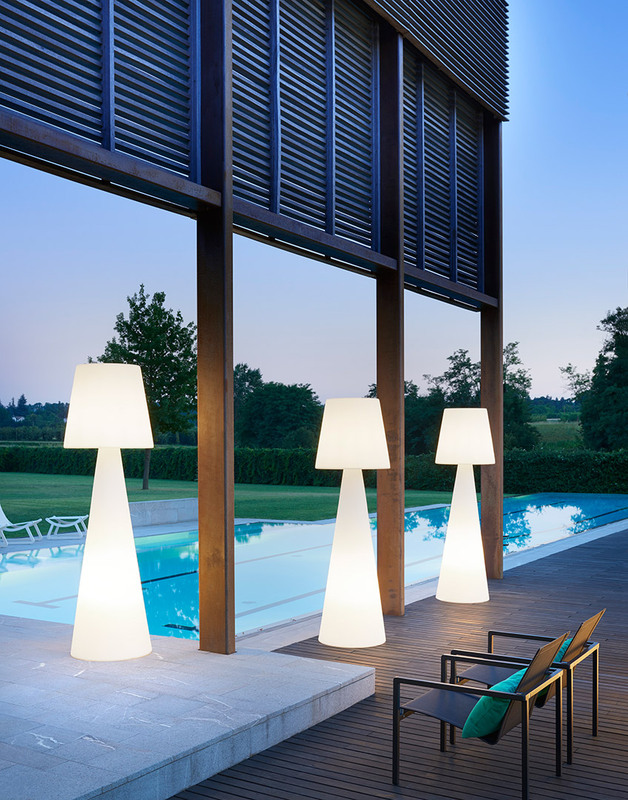 It gives a touch of luminous contemporary in every indoor and outdoor settings, and it is ideal to both private houses and contract. 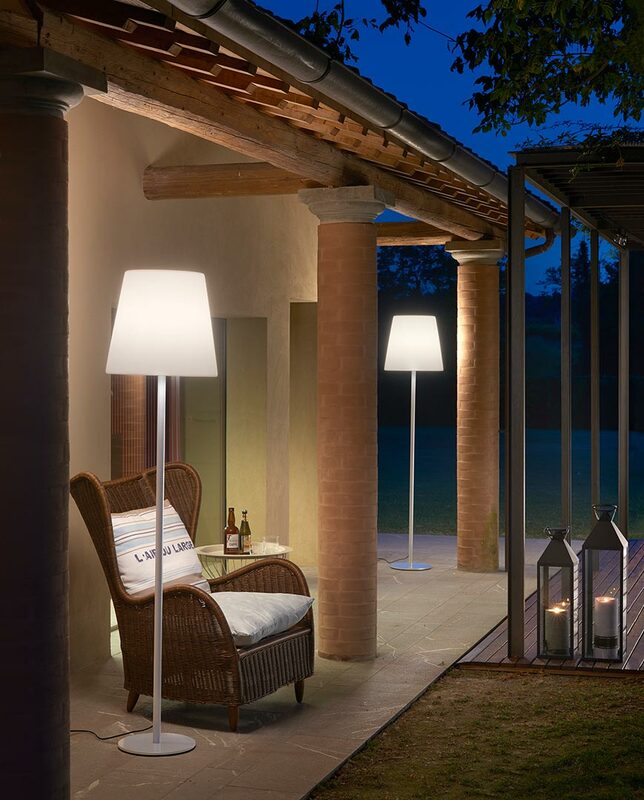 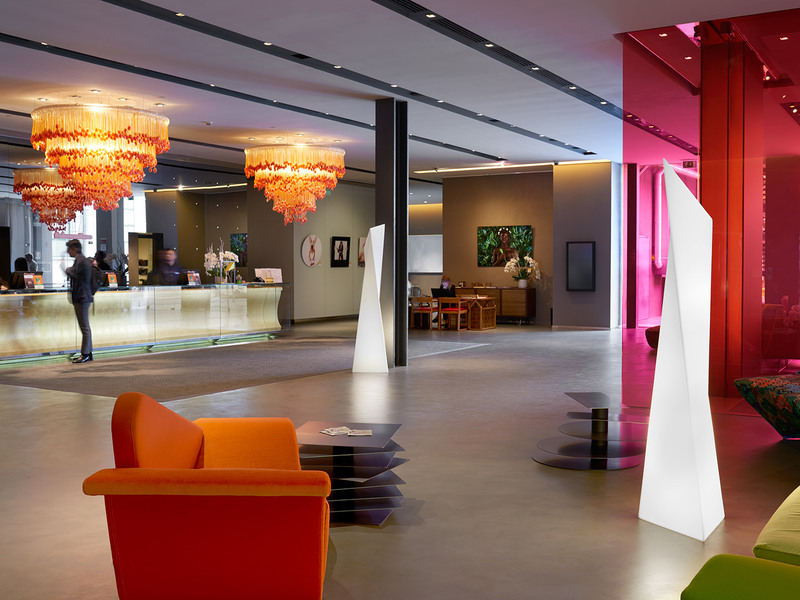 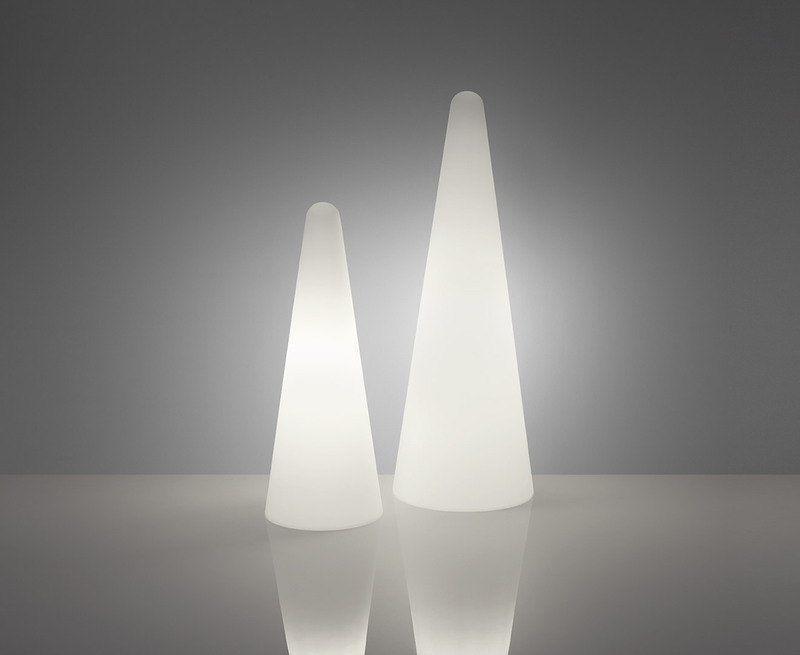 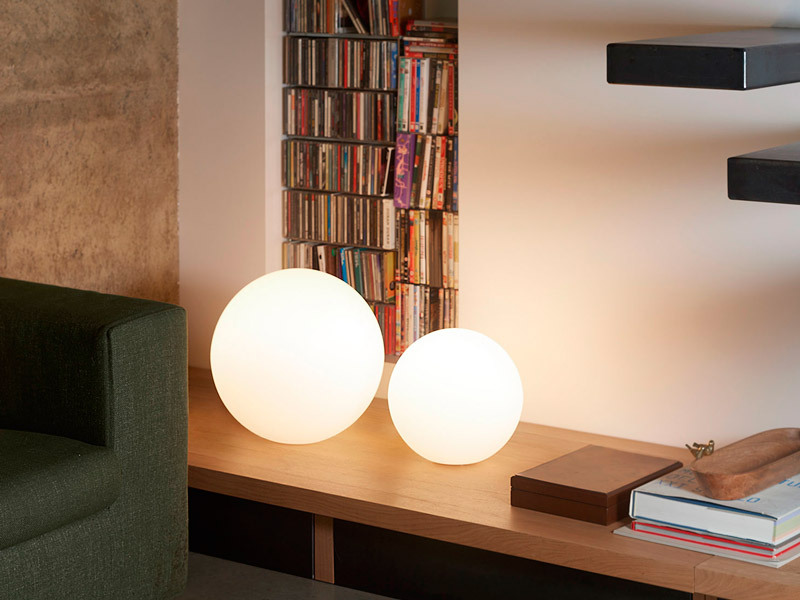 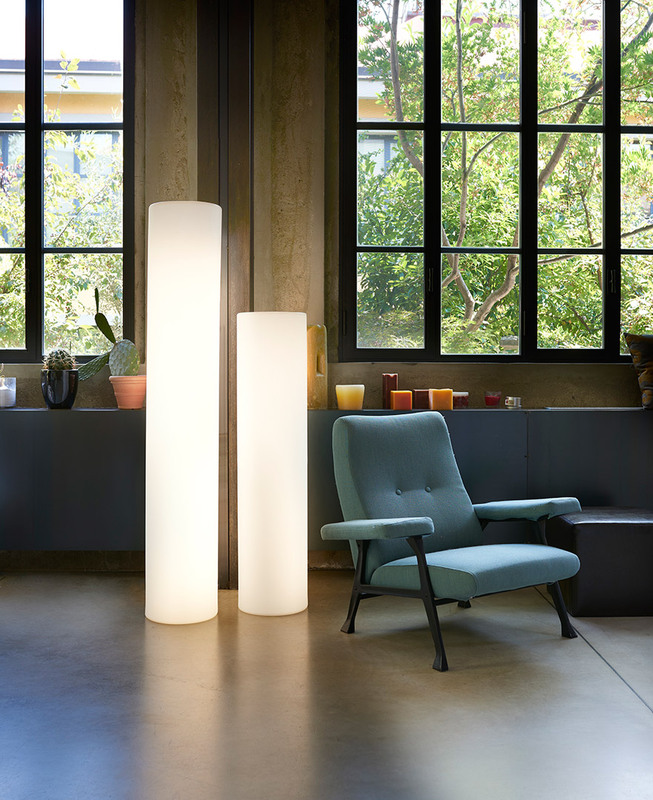 Cono gives a dreamy and elegant atmosphere thanks to its light that gently shines from the middle to the top and to the bottom. 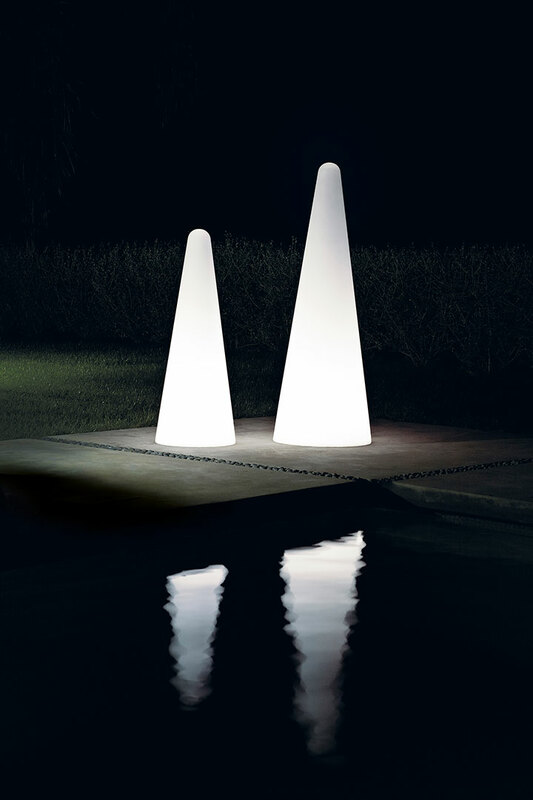 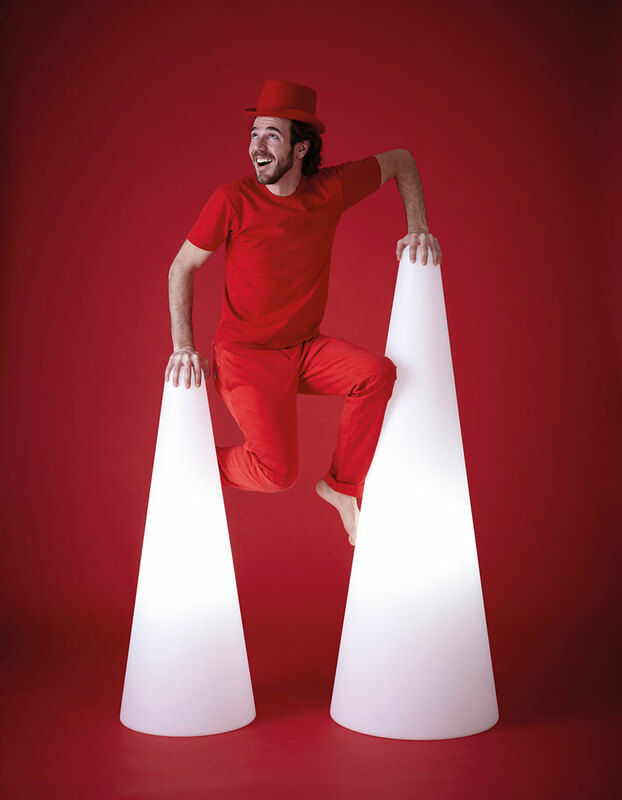 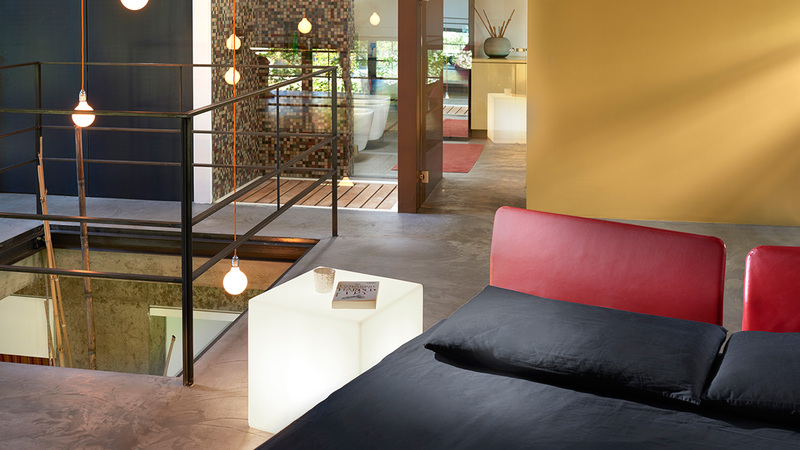 Cono conquers the areas with its bigger size and it furnishes discretely in its small dimension.